Saving money is important to just about everyone and there are many things you can do without but during the winter months, it’s hard to imagine not having heat in our homes. Even while running the heat at the level necessary to be comfortable in your home, there are several simple things you can do to save money on your heating bill. Take some time to review a few ways you can save money without turning your home into an a very large freezer. Most of us have extra clothes that we rarely wear and a linen closet full of blankets we can use to keep warm. No one is suggesting you sit around your house in a parka with a hat and gloves but there are plenty of items you can wear that will still be comfortable while adding extra warmth allowing you to decrease your thermostat setting by a few degrees. Keep a blanket in the room you spend the most time in so you can wrap up when you are relaxing. While you are pulling blankets out of the linen closet, add a blanket to all of the beds in your home so you can keep the thermostat lower at night as well. Depending on the size and layout of your home, you may have some rooms that you don’t use very often. If you are spending most of your time in just a couple rooms, adjust the thermostat for most of the house to a lower temperature and add space heaters in the rooms you use most often. Small space heaters will quickly heat the rooms you are using when you turn them on and you don’t have to spend as much money to heat rooms in your home that you rarely set foot in like the guest room or bonus room. While you probably keep the blinds and curtains closed during the summer season, when the weather turns cold, open them and let as much sunshine in as you can. While the sun will also improve your mood, it offers FREE heat and can make a big difference compared to keeping everything closed. Stop letting the heat you are paying for to the outside through your doors and windows. Sealing your windows and doors with caulk or weatherstripping can drastically reduce your electric bill by increasing the energy efficiency of your home. Dinner just came out of your 350 degree oven and you are turning it off as you sit down at the table. Go ahead and take advantage of the oven heat by opening the oven door and letting the residual heat from the oven dissipate into your home. If you have young children, make sure they understand the oven is hot and know not to touch it. Use a programmable thermostat to adjust the temperature of your home to a cooler setting when you aren’t home or at night when you are sleep. By using the extra blanket you put on your bed, you won’t need to keep the house as warm at night and you certainly don’t need to pay to keep it as warm when you aren’t home. 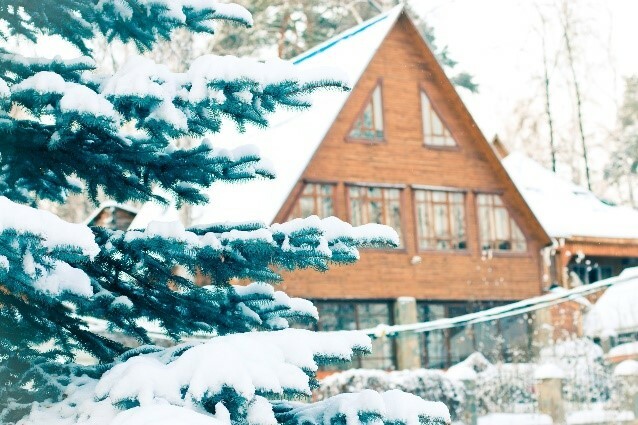 Keeping your home warm doesn’t have to cost a fortune. With some simples changes in your habits, you can keep your home comfortable without spending a fortune this winter. Doing More from For Sale to SOLD! That’s the sign of a RE/MAX agent!